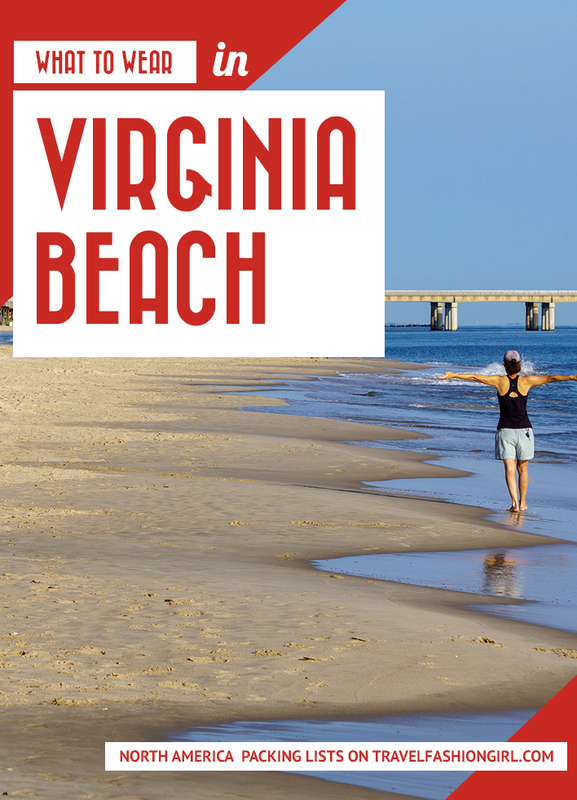 Headed to the popular summer vacation spot of Virginia Beach? We’ve got tips for summer and fall trips. 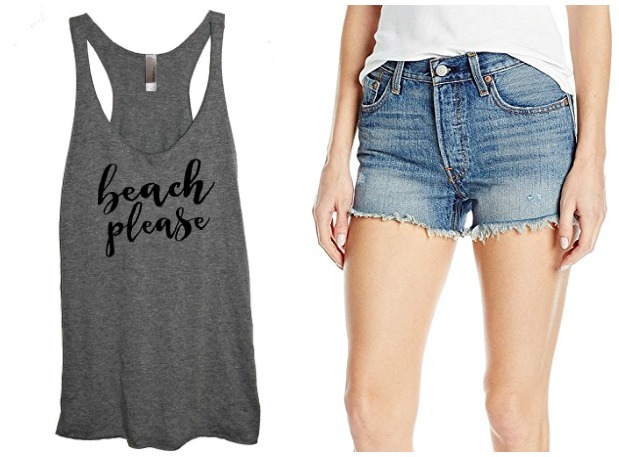 Here’s what to wear in Virginia beach on vacation! Located in southeastern Virginia where the Atlantic Ocean meets the Chesapeake Bay, Virginia Beach is known for its boardwalks, scenic oceanfront, and family-friendly activities. From amusement parks and aquariums to golf, fishing, and festivals, there’s something here for everyone. So what do you wear? Virginia is known for a temperate climate and ideal vacation temperatures in summer and fall. 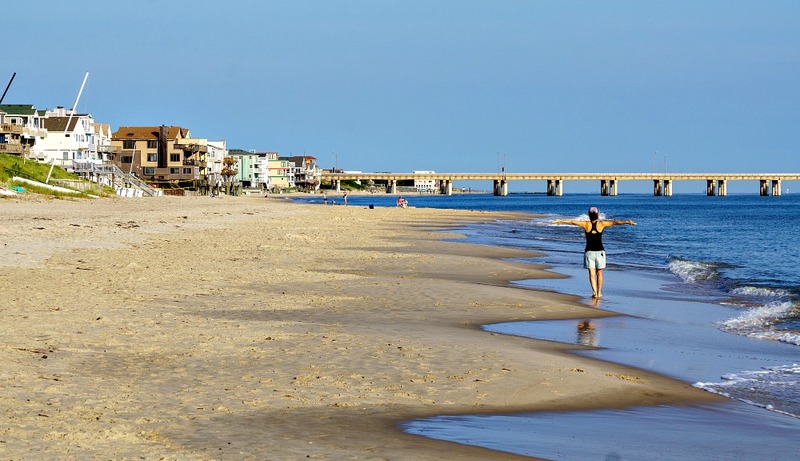 Summers at Virginia Beach can range from 80-90°F and fall temperatures range from 60-80°F. During busy season, clothing style in Virginia Beach is quintessential beach town. There are many shopping boutiques downtown for you to explore! With water temperatures in the 60s and 70s, be sure to bring a swimsuit that can handle the surf! Try a high-neck style bathing suit to make sure you’re fully covered after a big wave! Here are the best swimwear trends of the season! 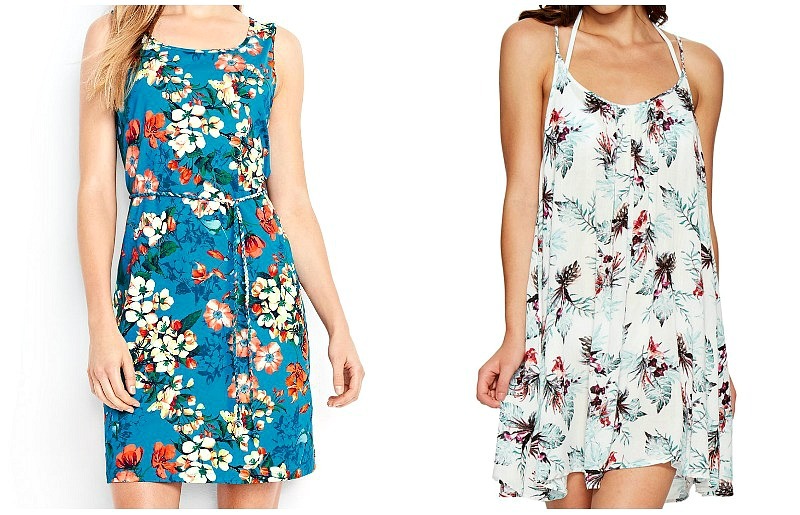 A cute floral coverup will protect you from the sun and serve as a cute, makeshift dress if you head off the beach for an ice cream cone or a cocktail. These are the best swimsuit coverups of the season! Instead of boring black flip flops, try a neon or printed pair, like animal print. Go casual; you’re on vacation! Check out the best beach sandals for travel–you can use some of them for trips away from the sea, too! Grab an oversized tote to throw your beach towel, sunscreen, and romance novel into. 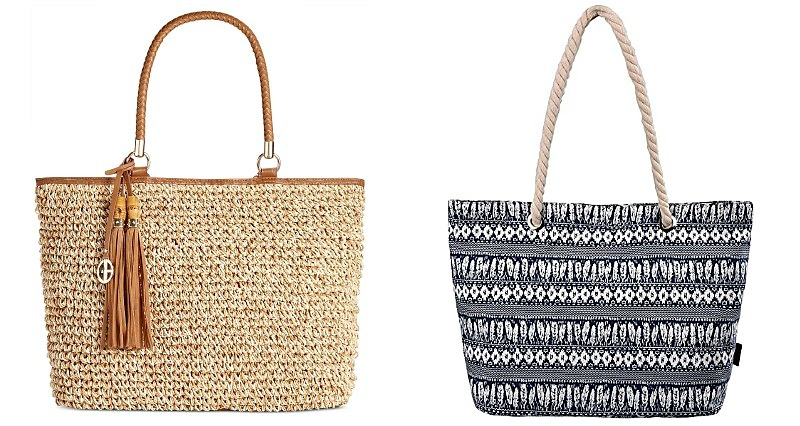 Check out these beach bags and totes you can use for a pool or sea side trip! A light-hearted tee like this one gives off great vacay vibes and pairs perfectly with a pair of frayed jean shorts. Running on the boardwalk is very popular, as well as jogging at Mount Trashmore Park and First Landing State Park. Pack a pair of cropped running tights, your favorite tank top, and sneakers to take advantage of the picturesque trail routes. 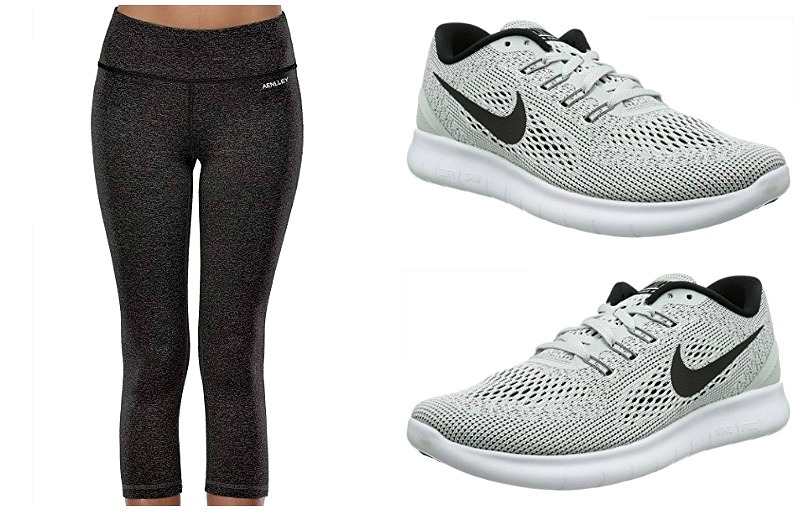 Find out how to rock the athleisure wear trend on your next trip! You can’t bring your big beach tote on a roller coaster, so be sure to have a smaller clutch that can secure to your wrist for safety. Make sure it’s big enough to hold your money, credit cards, phone, and keys. Here’s a roundup of the best money belts and anti-theft accessories to theft-proof your gear! Bring along a versatile sundress you can wear with metallic sandals during the day and with a pair of wedges at night for the sunset and cocktails. 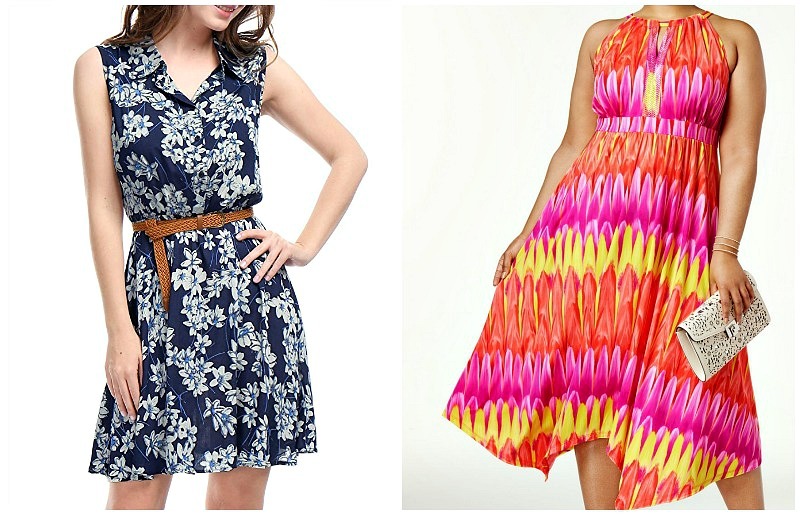 Try a super-saturated color or a bold floral pattern to be on-trend. And don’t forget to bring a light cardigan in case the ocean breeze makes you chilly. If you’re looking to do a sunset cruise, bring a cocktail dress. 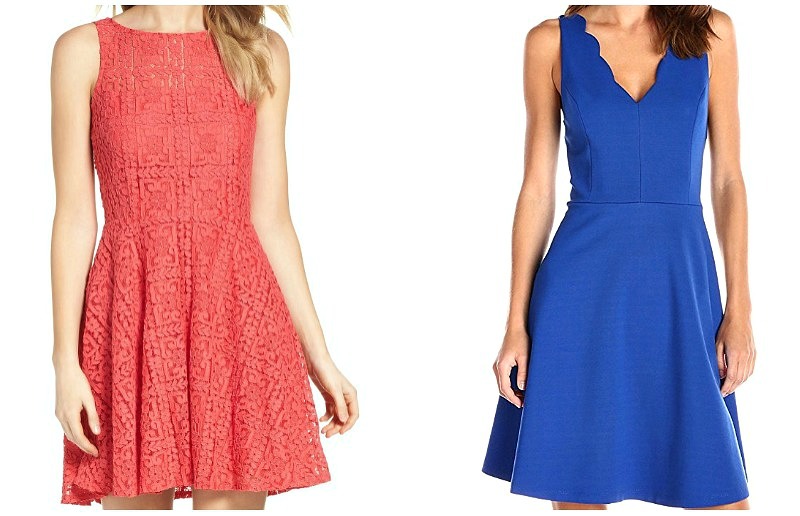 Try a coral color or bright blue, both of which look flattering with tan skin. Learn the cruise dress code for casual and formal dinner attire, as well as resort wear on board! September and October are ideal times to visit, as the weather is still warm but the rental rates are more affordable. As an added bonus, the beaches are much less crowded. Do some research on local events during your stay–Virginia Beach hosts craft beer festivals, the Rock and Roll half marathon, wine festivals, a strawberry festival, and more, which may affect your packing list. What are your tips on what to wear to Virginia Beach? Please share in the comments! We hope you liked this post on what to wear to Virginia Beach in summer and fall. Please share with your friends on Facebook, Twitter, and Pinterest. Thanks for reading! 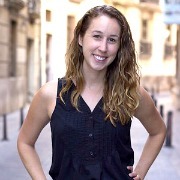 Author Bio: Casey Carr-Jones is a part-time writer and full-time #girlboss, traveling the world while writing and managing a resume review business. Learn more about her adventures on A Packed Suitcasey or on Instagram.